One of the most requested Duo features since launch has been group calling, something Apple's FaceTime now supports for up to 32 users at once. It's finally coming to Duo, although only for up to seven people. You must first create a group with the contacts you wish to video chat with, and then you can start a call with all at the same time. 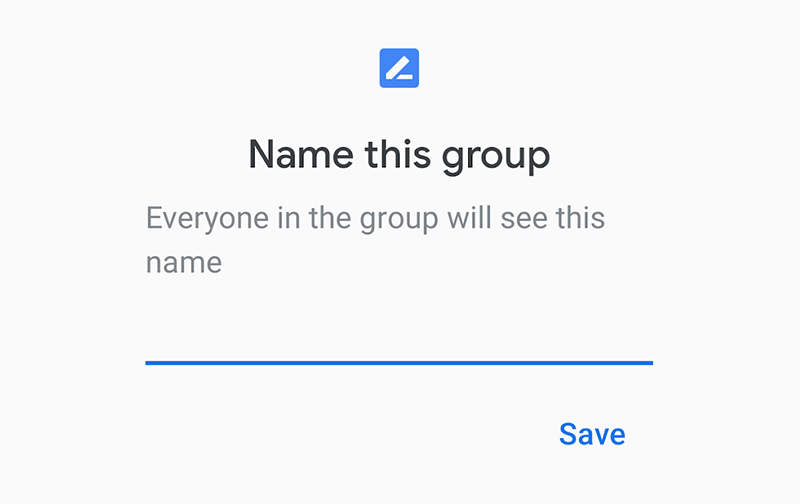 It doesn't appear as though you can add anyone into a group during a call, at least not yet. Tapping on the group name in the bottom right corner of a call only brings you a list of group members. You can create multiple groups and they will appear in your contacts list right at the top for easy access. Our tipster and one of their contacts both had the new options and so were able to test the group call, although other users aren't necessarily able to answer if they're currently lacking the feature. It looks like it could be a limited regional test, perhaps handled by a server-side switch. Low light mode is a little less exciting but still welcome. When you're in a room or setting that is rather dark, a pop-up will appear asking if you'd like to enable low light mode. If you choose to do so, it "automatically adjusts your video in dark environments so others can see you better." It's not clear how this works, but it could be pretty useful. We would imagine you'll be able to turn in on in the settings too, although we can confirm that at this time.